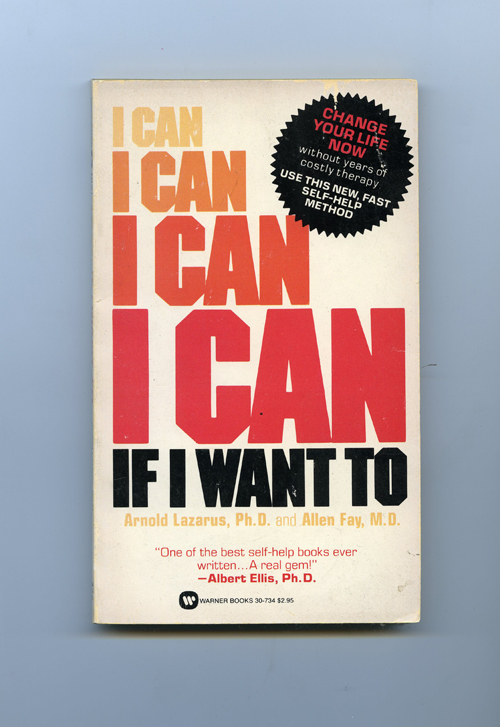 "I Can If I Want To" by Arnold Lazarus Ph.D and Allen Fay M.D. "The Great Escape Race IV, Jackson Prison" by incarcerated photographer David Wells, 1983. "Self- Examination by Jean Raisler" from The New Our Bodies, Ourselves: A Book by and for Women. Updated and Expanded for the 90's. "Ohio Valley 1971- 1972" by Chauncey Hare from Protest Photographs. "I.V.A.W. 2006 You Can't Return Fire on an I.E.D" by Michael Patterson Carver from Free Speech Zone.